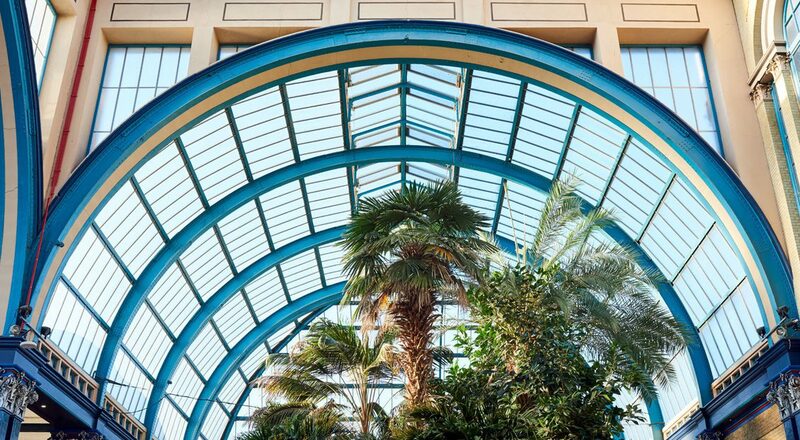 Alexandra Palace has been rebranded in an effort to stop it being regarded as a giant “corporate” gig space, and to show that it embraces the local community with a varied range of cultural events. Design studio Lovers were tasked with the rebrand to help to build up peoples “loyalty” to the music venue and also to showcase its events that range from ice skating to summer festivals. Also known as “Ally Pally” — Alexandra Palace was opened in 1873 originally as a music hall, with one of the largest organs in Europe installed two years after its launch. The venue has seen two fires, a Belgian refugee camp during the First World War, while also hosting the world’s first ever public broadcast in the 1930s when the BBC Studios were situated there. It can now be found hosting large scale music events, theatre productions, festivals and conferences and can hold up to 10,400 people. The rebrand sees the calligraphic script wordmark replaced with a sans-serif logo set in bold, all capitals, in an arch shape which reflects the shape of the architecture of the building itself. 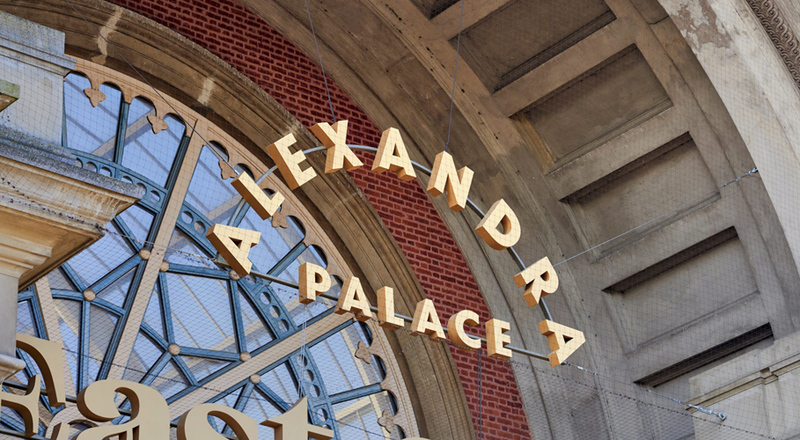 The word “Alexandra” forms the arc, with “Palace” in horizontal underneath it. Creative director at Lovers, Alex Ostrowski, says the intention was to avoid a “Swiss design-influenced corporate identity”, and instead was inspired by barber shop style signage that you would have seen in the 19th century. 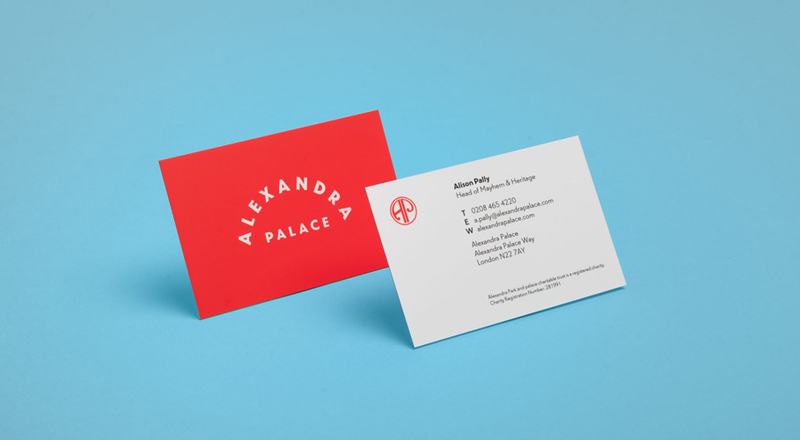 “We wanted to give the Palace a logo that felt classic, credible and important, but also captured a sense of fun. 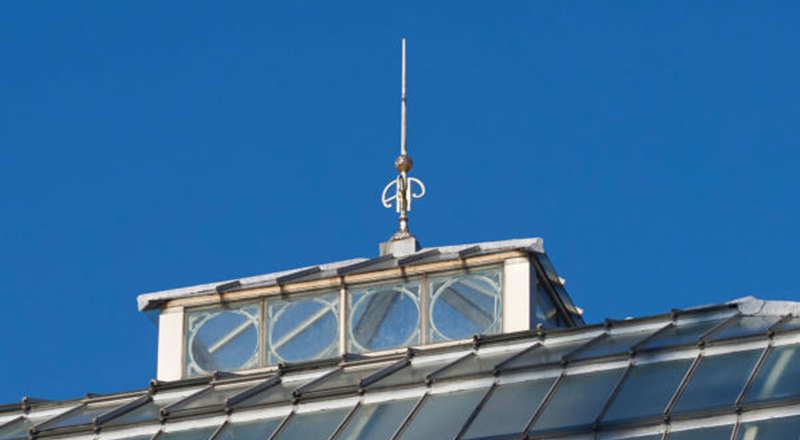 The arch is a nod to the recurring arch motifs in the building’s architecture, but also to this idea of ‘one roof’ under which a lot of diverse things take place,” says Ostrowski. 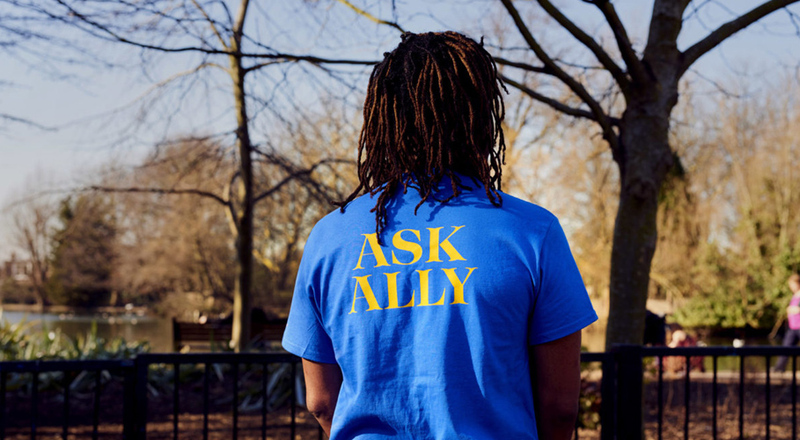 A palette of gold and white has been developed for the core branding and this has been used on typographic elements such as signage in the building. A further extended palette has been devised in addition consisting of pink, yellow, two blues, green and red which is in use on other marketing materials, which are event specific, along with black and white. 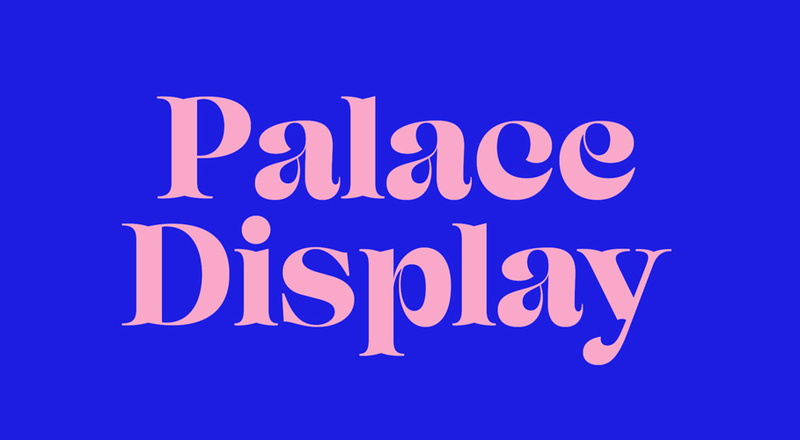 A bespoke second typeface which is called Palace Display has been created as well. The typeface features irregular letter widths in a hand drawn inspired quality. 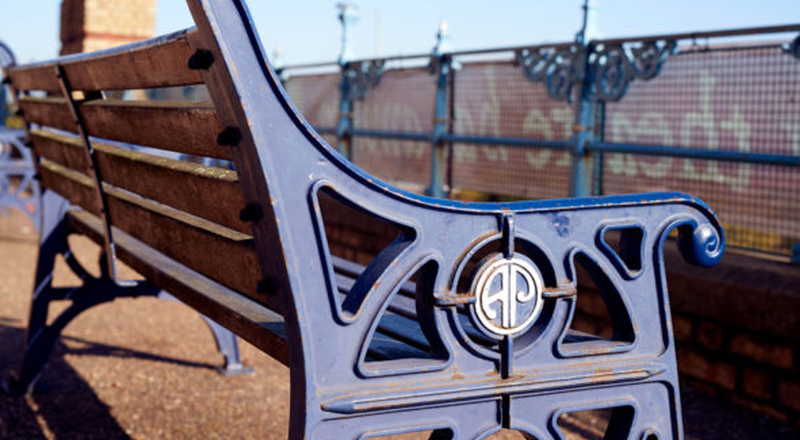 The sans serif typeface has been used across headline copy for campaign materials along with a monogram “AP” logo version which is set inside a roundel. “We wanted it to be elegant but fun and un-strict. There’s a touch of ‘swinging sixties’ to it but also a Victorian feel,” says Ostrowski. 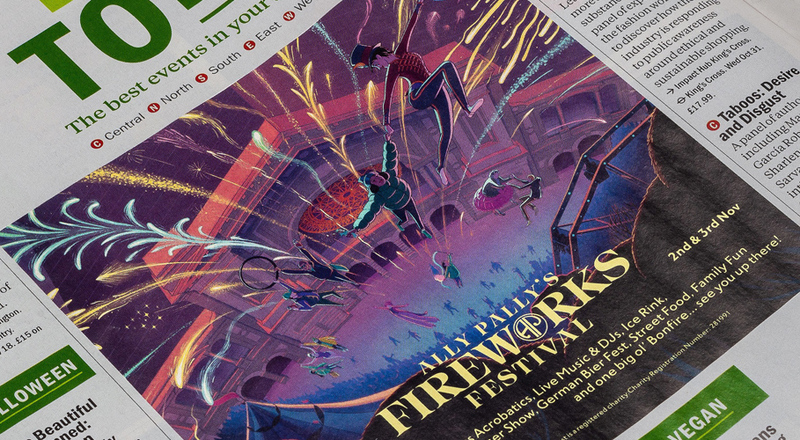 The typeface and the multi coloured palette are used to promote events such as the venue’s summer festival, the Great Fête, along with the annual fireworks display which is held in November. It also hosts an ice rink, a skate park and a Go Ape course within its grounds. Ostrowski says that the promotion of these events were inspired by materials that were found in the Palace’s 146 year old archive, which included postcards and posters, which led to an “illustrative” approach. “We dug out this old postcard which had an amazing illustration of a fireworks display taking place over the boating lake at the turn of the 20th century. It was just raining colour down onto the crowd. At that point, we knew we wanted the brand to embrace a multi-coloured approach,” he says. Event communications take in a broad colour palette, using over sized, irregular type set in Palace display alongside photographs of people and items that are used and what people can do at events. The new branding is currently rolling out on all touchpoints which includes interiors, venue signage, website, social media, merchandise and print marketing.